For Inuit across the Canadian North, notions of good wellbeing are multi-faceted – including physical, mental, emotional, social, and spiritual dimensions – and are rooted in deep, intrinsic connections with the environment. Thus, any stresses on the environment, such as climate change and resource development, necessarily have complex, widespread impacts on Inuit wellbeing. 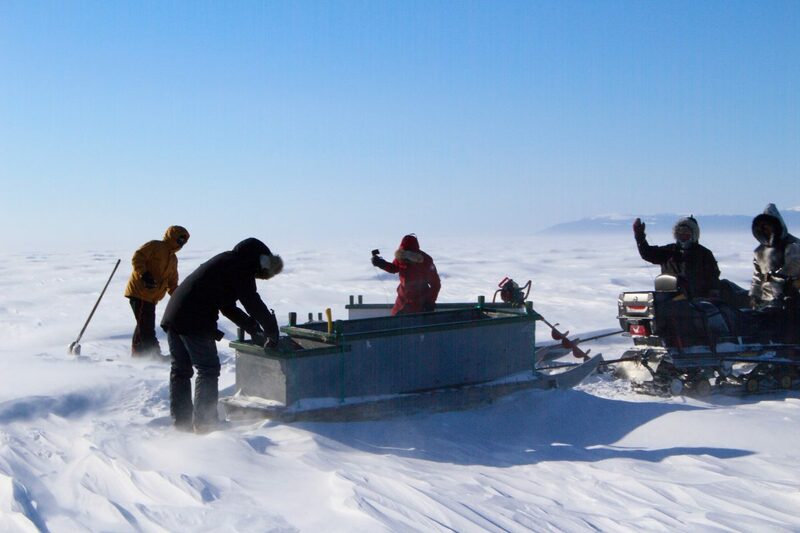 Inuit are actively working to develop innovative approaches to environment and health research in order to better understand and deal with these challenges in ways that enhance the wellbeing of individuals, communities, and their environments. Control and leadership over the development and implementation of these research approaches must be kept in the hands of Inuit, so that adaptive strategies are context-specific, culturally-relevant, meaningful, and sustainable. Responding to this call for Inuit control over research in the North, a new initiative, called “eNuk,” is a community-based, community-driven research program led by the Inuit community of Rigolet – located in Nunatsiavut, Labrador. Rigolet is the southern-most Inuit community in Nunatsiavut, and is comprised of about 300 people, almost all of whom identify as Inuit. The “eNuk” program seeks to provide a better understanding of the health impacts of environmental changes in Rigolet, as well as how to develop appropriate responses that improve the health of both people and their environments. Specifically, this program involves the participatory development of an App and website that will allow community members to track, analyze, and respond to changes in the environment and in their community. Through the use of photographs, videos, audio-recordings, and text-based descriptions, participants will record information on environmental observations and changes in the App, and subsequently share this information with other community members by uploading it onto the website. Streamlining existing approaches to environment and health monitoring and response in Rigolet, the eNuk App and website will serve as a central surveillance system that is owned and operated by Inuit. Over the past year, the eNuk research team has been working alongside community members, local and regional governments, and health professionals to establish a foundation from which to build a surveillance program that enables monitoring and response of environment and health issues that are important to Inuit in Rigolet. The team sought to unpack why these issues are important to the community, and subsequently how these issues could be monitored. The eNuk program is set to launch in Rigolet in August 2016, when the first iterations of the App and website will be released. A small cohort of households in the community will be given iPod touches, enabled with the App, to begin to monitor all activities, including travel on the land, hunting, trapping, foraging for berries and traditional medicines, and other activities and related health outcomes. The App will allow individuals to gather information through pictures, videos, audio-recordings, geo-location and mapping, note-recording, and question-answering, allowing for a diversity of audio-visual and written information to be collected on a range of physical, mental, emotional, and spiritual health factors and environmental conditions. 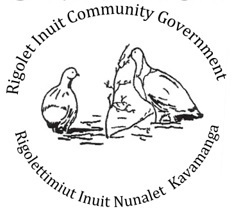 Following the launch of the program in August, about a third of households in Rigolet will have the opportunity to participate in a two-year period of active in-community and on-the-land monitoring. Over the course of these two years, participants will gain a more in-depth understanding of the every-day effects of climate change on the environment and its people. The eNuk program is collaborating with: the Rigolet Inuit Community Government; the Nunatsiavut Government Department of Health & Social Development; the Nunatsiavut Government Department of Lands & Natural Resources; as well as other knowledge users and decision-makers in the region. These local and regional partnerships will ensure the development and implementation of the program is centered around Inuit knowledge, Inuit-identified priorities, as well as Inuit conceptualisations of health, wellness, and the environment.